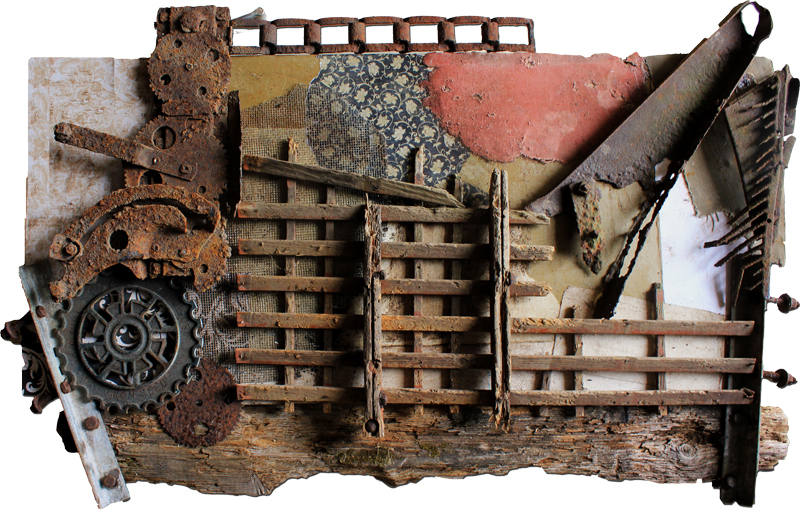 VINTAGE INDUSTRIAL ART GALLERY: Original one of a kind artwork made from reclaimed, recycled and repurposed wood, metal and fabric from vintage/antique objects. Rustic Industrial Art. Vintage Industrial Art. Original art for vintage industrial decor. vintage industrial wall sculptures. All original works are wired and ready to hang. Original Mixed Media Abstract Art "Eye Contact"